Mr. Noory is an accomplished former corporate executive and current strategic business consultant with nearly two decades of advisory experience involving hundreds of domestic/international transactions. 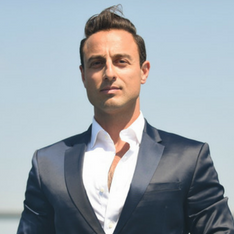 With a background which encompasses working at multiple global investment banks, Ryan Noory's focus today brings much more to the table than just his technical expertise for his clientele. Mr. Noory's deep knowledge of corporate law in addition to his business strategy acumen, investment banking background, negotiation expertise and influential network place him in a unique position to add tremendous value for his sophisticated clientele. "… Ryan's work was never anything less than first class and I highly recommend working with him if given the opportunity." "“I was incredibly impressed with Ryan -- his response time and quality of work were incredibly good. I'd highly recommend him…”"
Strategic Board Advisor and M&A Strategist for businesses and creative entrepreneurs from Start-up & Formation through Venture Capital & IPO. Advisory on Cross-border Mergers & Acquisitions, Corporate transactions/agreements, Business/employment disputes and complex negotiations. Oversaw/managed entire in-house and outsourced business development and legal teams to assure compliance with regulatory mandates and corporate objectives in regards to entity's global holdings – including multiple $100MM+ special regional projects. Lead advisor on multiple global Private Equity projects with significant management responsibilities in addition to a business development managerial role. Counseled clients through extensive assessment of investor’s business operations, liabilities, cash flow, tax status, exposures and growth objectives. Advised investment bank's clients on growth opportunities, policies, compliance and best practices.